Indian Constitutional Law Review (ISSN-2456-8325) is a quarterly journal published by the Publishing Unit of Agradoot Web Technologies LLP. 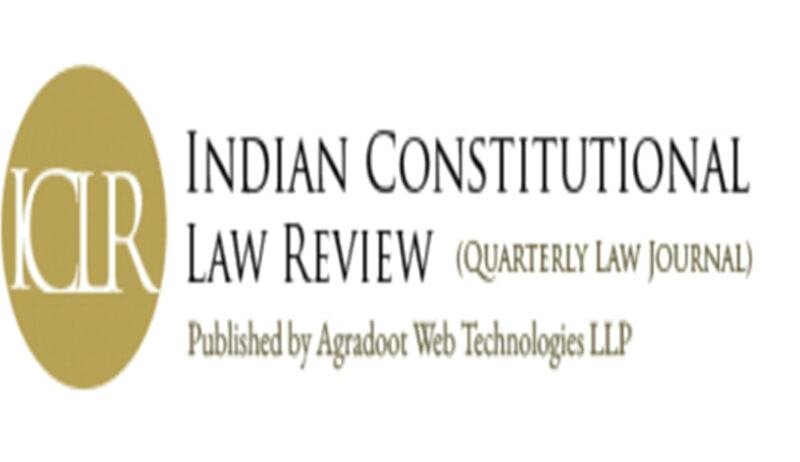 Indian Constitutional Law Review is a peer-reviewed quarterly law review published with an intention to promote and contribute to the growth of Constitutional Law in India. It revolves around the issues pertaining to the wide sphere of Constitutional Law and in its wide array of areas covers all areas of law through its interactions. Legal research pertaining to Constitutional Law often remains in the books of law and other ways. It seeks to practically link and bring together legislative ideologies, research scholars and judicial officers to promote and make available to the public the importance of this area of law and its interaction in every way the Government functions and in every act and move of the State. The coverage of the journal includes all new theoretical and experimental findings in the field. The journal also encourages the submission of critical review articles covering advances in recent research. It is published by Agradoot Web Technologies LLP. ICLR calls for esteemed faculty members from various institutes across the country from legal background to apply as Reviewers/Peer-Reviewers for the upcoming editions of the journal. Number of Vacancies: 3 (THREE) per Edition.